The Fauquier Free Clinic (FCC), which provides primary health and dental care to the low income uninsured families of Fauquier and Rappahannock Counties of Virginia, has opened a new, larger space called Haven House that includes a donation by HomeAid Northern Virginia of $10,000 toward the purchase of new windows. The new facility is in a building owned by Fauquier Hospital. The Hospital charges the clinic $1 per year in rent. Established in 1993, the clinic has provided more than 18,000 free care visits for patients with ailments as simple as skin rashes to complex cases involving life threatening illnesses, Marino said. 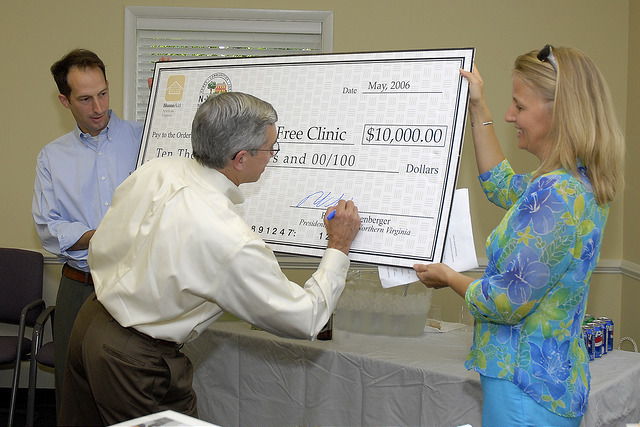 The clinic brings together volunteer health care professionals and other community volunteers to offer free health care and medications to those who cannot otherwise afford such care. Thanks much in part to Builder Captain, Dodson Homes, this $60,000 project will now allow the clinic’s volunteers to open the clinic during the day. Special Thanks to Builder Captain, Dodson Homes, for your incredible contributions to the Haven House project!